Welcome back! When I was at the Creativation craft show back in January, one of the product lines I was most excited about was the the Gina K Designs Stamp N Foil product line. It is so innovative! Today I am sharing how to use this line… and how to create a fun fold card design that you can use with pretty much any products. Today’s fun fold card design can be used with any products you may have. It’s a great way to create an unexpected card fold! My first card features the Gina K Butterfly Kisses Stamp N Foil – including the Stamp Set (SSS | GK | TW), Foil Mates (SSS | GK | TW), and Dies (SSS | GK | TW). These products allow you to stamp, foil, and die cut to create beautiful embellishments. I used Gina K Inks (SSS | GK) – any dye ink would work – and Gina K/Thermoweb foils (SSS | GK). Be sure to watch the video to see how it is done… but it is easy to do! I apologize for the poor photography, but it is difficult to capture the foil’s shine. The front of the card also showcases the WPlus9 Tossed Floral Background Die (SSS | WP9) for a white-on-white background. The sentiment is from the Clearly Besotted Tiny Type Stamp Set. Also be sure to watch the video to see how to create this fun fold design. It can be used along with many stamps or dies you already have. Super easy to do, too! This next card is very similar to the first, but I instead create sparkly foil butterflies with a black outline. I wish you could see this in real life – the color and shine are amazing! I used all the same products as I did on the first card. For my third card I used the Gina K Where Flowers Bloom Stamp N Foil products – including the Stamp Set (SSS | GK | TW), Foil-Mates (SSS | GK | TW), and Dies (SSS | GK | TW). I really like the look of the shiny green outline with the green stamped centers. The sentiment is from the Gina K On My Mind Stamp Set and I again used the WPlus9 Tossed Floral Background Die (SSS | WP9) for the background. This card also features the fun fold card design. Want to find the products I used? I have listed them below. (Compensated affiliate links used at no cost to you. Thank you! Affiliate and product disclosure can be found here. All products were personally purchased except those from Gina K and products with an asterisk. As always, this post was NOT paid for or sponsored or requested.) Click on the icons below each product picture to go to a favorite store. A bit of an unrelated question to your post (my apology) but I as I am getting more into stamping I am starting to accumulate a collection of stamps. I was wondering how you keep them all organized. I have seen your craft room video, but there is no way that you are able to remember all of the stamps and dies off the top of your head (at least I hope not!). Do you keep a digital “database” where you are easily able to catalogue your stamp collection and then sort through them for a particular project? Or do you keep a “swatch” book handy of your stamps? Right now my stamps only have labels in upper left hand corner and I would have to physically walk over and look through each one. I feel like there has to be a better way! Gorgeous cards Jennifer, love the beautiful idea of a background die, cut in half and than put it on the fronts of the card as decoration before the awesome butterflies or leaves. Love the new Gina K products. Thanks for showing and sharing this with us. Your cards are all so elegant! I love the sparkle. Thank you for sharing the great tutorial. So easy to follow your videos. Jennifer – thank you for sharing this fun fold tutorial. I needed a card for a friend who is getting married and tried the design. Instead of butterflies I used hearts. It turned out beautifully if I may say so myself. (Wish I could share it with you.) You are so inspirational, and I love the fact that you seem to always show us multiple uses for a design. These cards are lovely! I just started foiling after buying a scotch laminator and I’m addicted now! where are the videos? Cannot find where to see them,. Gorgeous cards! Love the foiling! Yours is a generous spirit. Another wonderful video and beautiful cards! 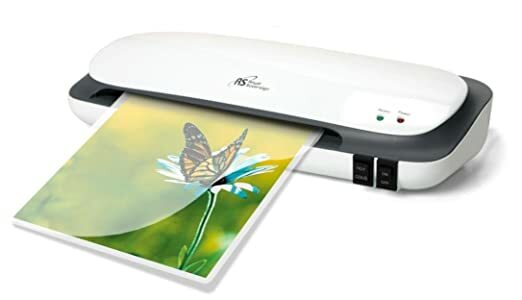 Love your videos, just wanted to let you know I received a recall on that same laminator you use in the video. I love my lamintor but I thought I’d let you know. These are beautiful! Love the foiled look, so I broke down and got myself a laminator. Now I’m just waiting for my Gina K stuff to arrive and then I’m going to attempt to make foiled cards like you! You inspire me with EVERY video….you also cost me my pay check! 🙂 Thank you for sharing your ideas! Beautiful card! Nice work, Jennifer. You make it look so easy but I am sure it is not! Does anyone know what brand of tape runner Jennifer used? She didn’t mention it and it’s not in the list. I am looking for one that does not come apart in the first 5 minutes! Thanks! I used the Gina K butterfly stamp, die cut, and butterfly printed sheets. I was so excited to get the same affect as your video. But, I did not have success. Is it necessary to use only Gina K foil? I used Memento dye ink and another brand of sparkly foil and the image was totally covered with the foil. So disappointed. What did I do wrong? Tried it several ways and wasted almost a full sheet of pre printed butterflies. I love your clean styles. Attempted many of your cards, gotta say, you make creating beautiful cards achievable. Challenging, but achievable. Thank you! another card that I would love to CASE!! !